Neos Marmaras. 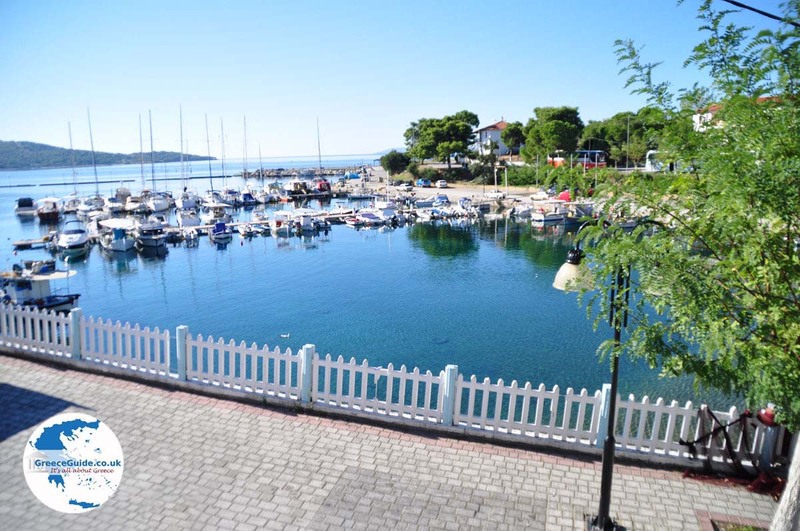 Neos Marmaras is one of the most popular holiday destinations of Halkidiki. 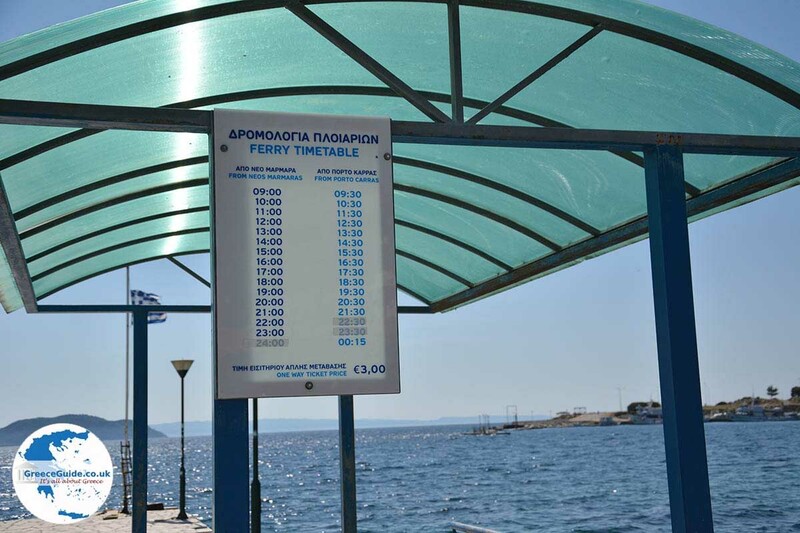 It lies on the west coast of the peninsula Sithonia, 50 kilometers (31 mi) from Poligyros and 117 kilometers (73 mi) from Thessaloniki. The combination of blue sea and the green hills behind it is truly breathtaking. 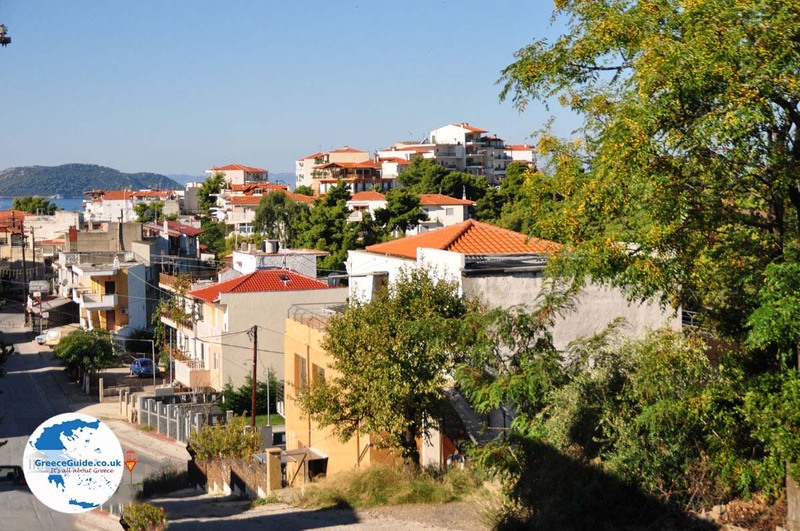 The town of about 3,000 inhabitants is situated on the slopes of a low hill. 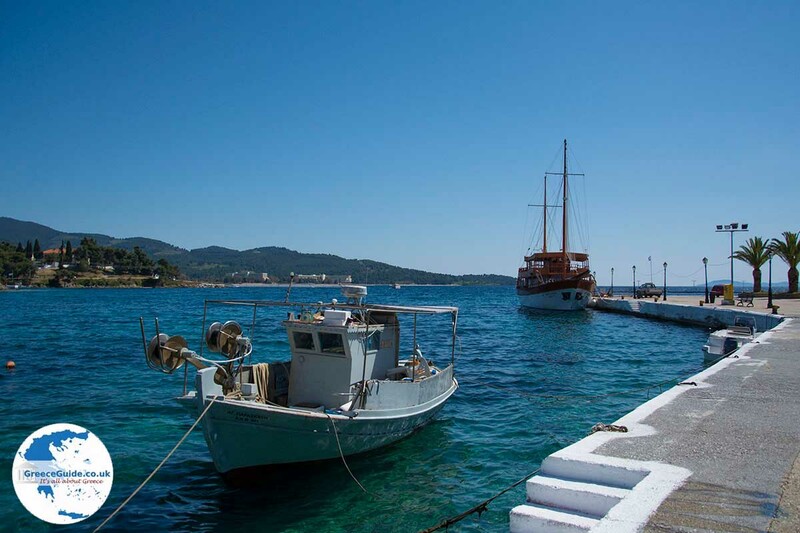 The town has a port where tourist boats, sailboats and fishing boats moor. 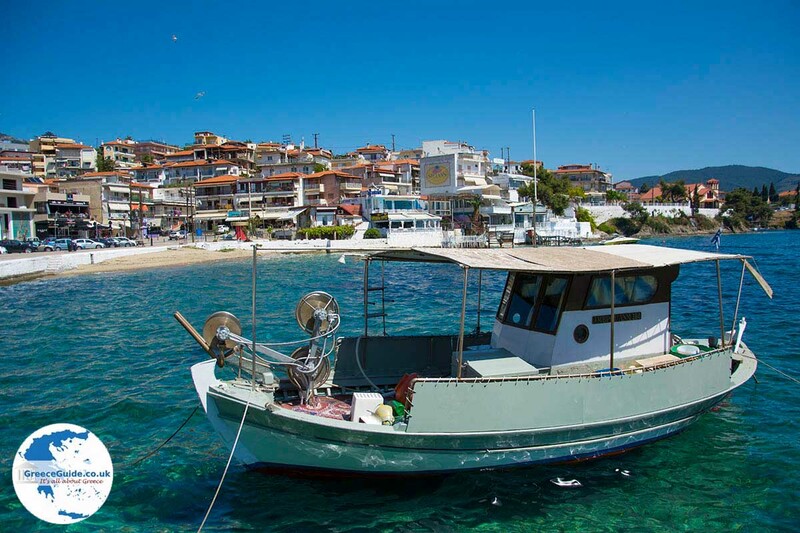 The beautiful beaches of Neos Marmaras are just outside the town. Next to the idyllic sandy beaches there are pine trees that reach to the water. Most bars and restaurants are located near the port. You'll see a lot of seafood restaurants here, and that makes sense because many people are fishermen who bring fresh fish to the town daily. 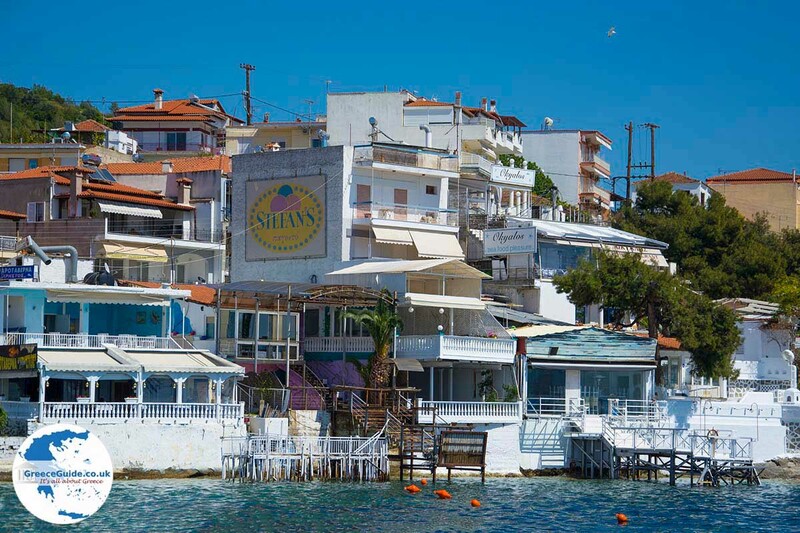 People who love to be entertained will enjoy Neos Marmaras’ several nightclubs and bars. 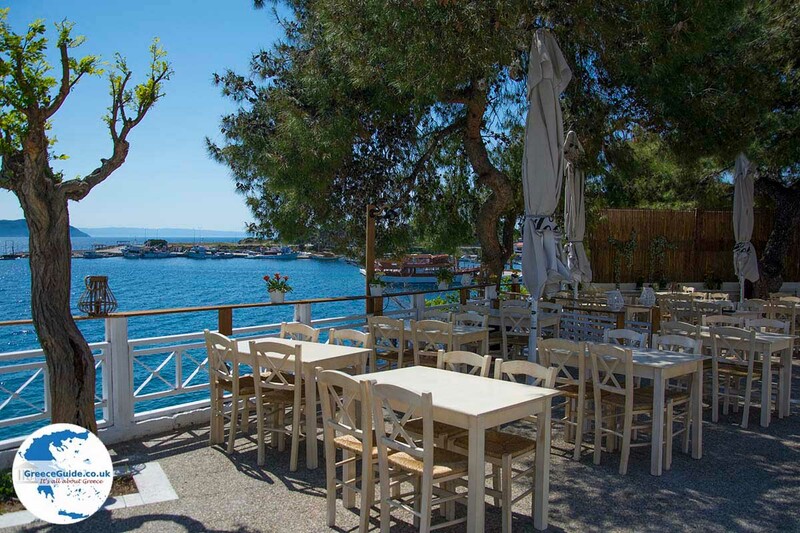 Walkers will love the place, as there are many hiking routes, even to the top of the mountain Itanos located behind the town. Just above Neos Marmaras, on a hill, lies the village Parthenonas where old houses have been restored in the past decades. 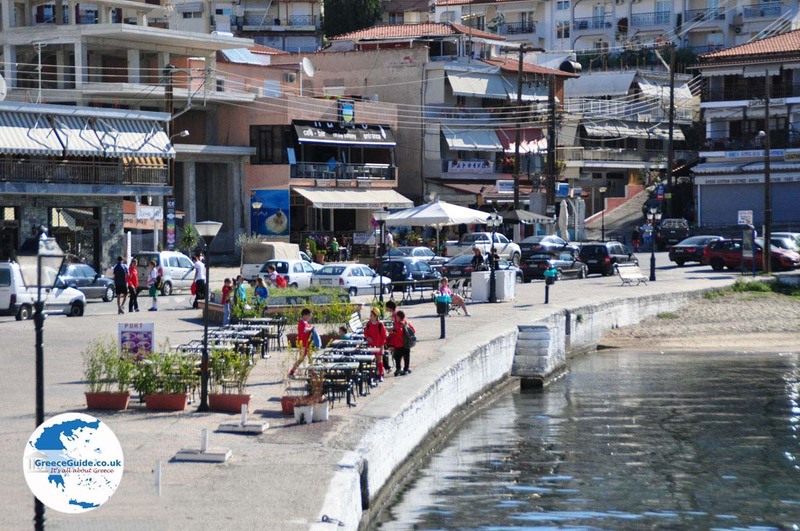 This village was built in the Byzantine period. The village has a folk museum where all kinds of artifacts, objects from everyday life of the inhabitants in the early ages, are displayed. 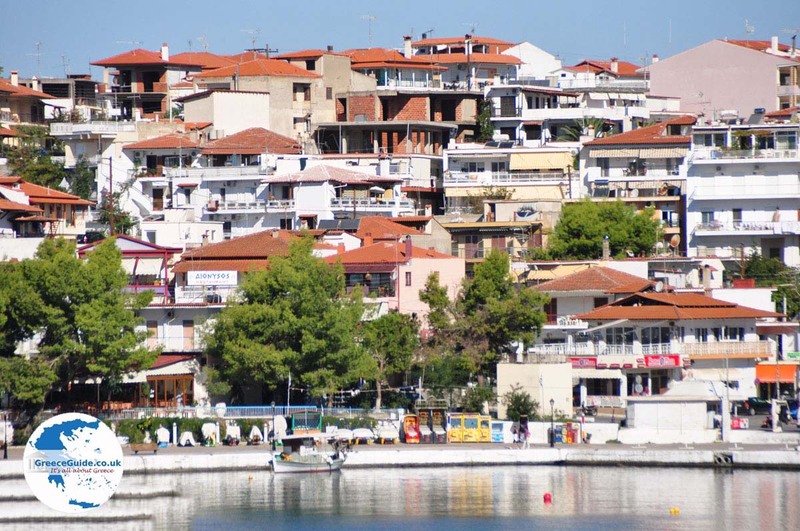 Neos Marmaras was founded in 1922 by Greek refugees from Turkey (island of Marmaras). 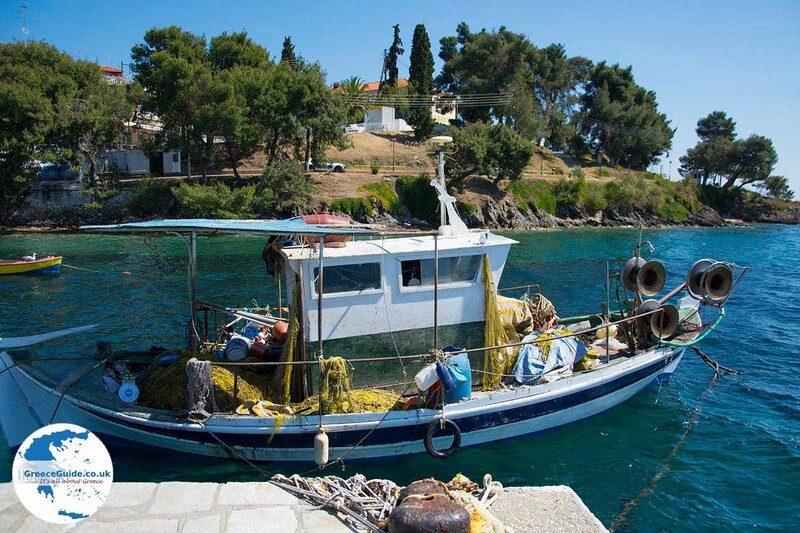 When they settled here the land was owned by the Grigoriou monastery of Mount Athos. 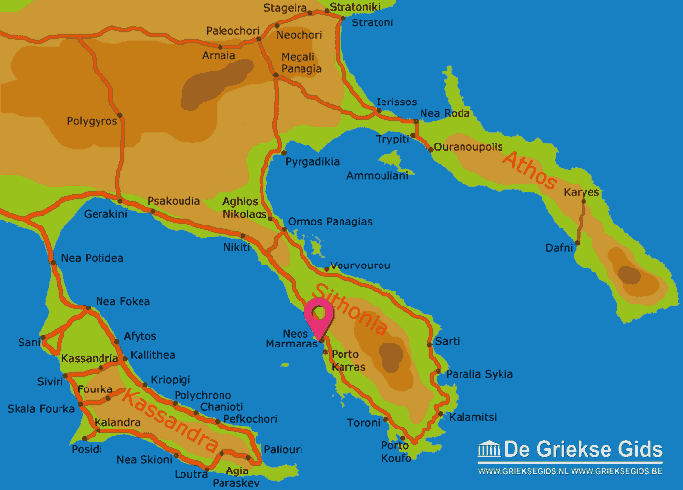 Halkidiki: Where on the map is Neos Marmaras located?